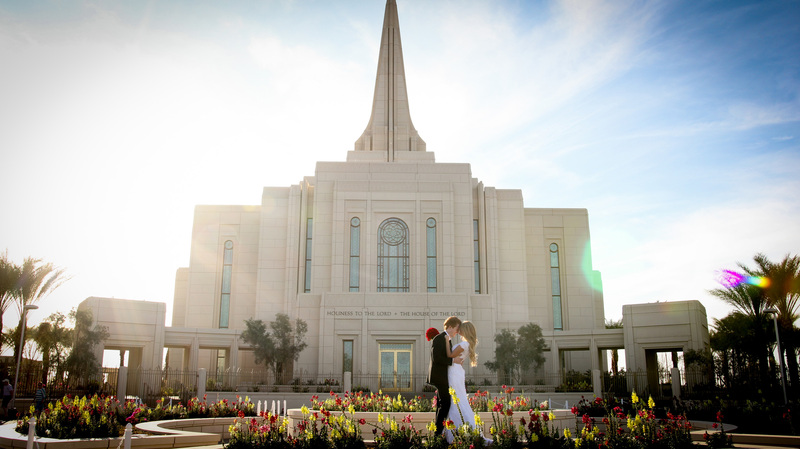 Yesterday I had a great time shooting with my first couple at the new LDS Gilbert Arizona Temple. Kenzi and Chantz will be married on the first Saturday in March that the Temple is open. It was fun to shoot video and some photos. The Temple wasn’t quite open enough yet for us to take photos on the grounds so we shot a few images at the main planter by the front entrance. We then went out in the field to the East of the Temple. What a great spot for photos at the Gilbert Temple. I hope that remains a field for a long time and no buildings are built there. It was great working with Chantz and Kenzi. I actually put together a baptism video for Chantz when he turned eight. Now many years later his mom called me to work with them again. How fun is that. It was my first time to meet Kenzi and she was just beautiful in her dress. I over heard Chantz tell Kenzi her hair looked like Rapunzel’s. 🙂 How great is that! After we finished at the Temple we drove up to the river North of Mesa and grabbed some shots right at sunset. A perfect day for pictures and video at the Gilbert AZ Temple! The wedding video I filmed of them at the Gilbert Temple will be in a future post. 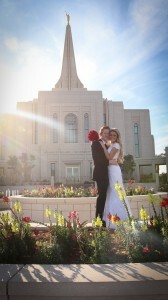 Had a great time working with Kelley and Eric for their Mesa AZ Temple wedding. We filmed their wedding video and also took care of their wedding photography. 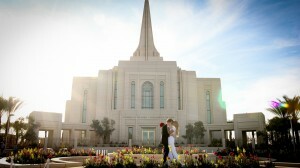 It was a beautiful day at the Mesa Arizona Temple for their wedding video. The Temple was just finishing up their two week maintenance close and so we had the whole Temple to ourselves minus a few guys still doing some landscape work. Here is their video.